We breathe innovation and continuously launch new projects that stretch the boundaries of patient and customer engagement. With PEX Life we digitalise and automate doctor processes, let dermatologists diagnose digitally and our platform makes it easier for people to communicate with their devices more naturally via speech. We’re also working hard to make sure that women in Ghana are being educated and supported during their pregnancies. We make information more easily accessible and interactive, activating users and getting more value from that information. The National (Digital) Diabetes Platform is a collaboration between ExpertDoc, TNO and PEX Life, supported by Diabetesverenging Nederland and the Diabetes Federatie. This project aims to create value for both patient and doctor by using a digital platform that makes healthcare better and more efficient. The digital platform is a service for the family doctor and his or her patients. While serving as the doctor’s management system, this platform is accessible for patients as well, allowing them to control, understand and receive guidance on their own treatment plan. Patients can ask questions and benefit from digital consulting and insights into their progress. It’s available 24/7 at a low rate. It offers patients a reliable Q&A and offers advice. This advice complies with all regulations of NHG and the TNO healthcare advice system. Predicts development of diabetes and lifestyle interventions. Compares individual patients to the average range. Proactively notifies patients when they need to take action. Is connected to the Hospital Information System to make sure information is always complete. Complies with the diabetes protocols of ExpertDoc (NHG). Decreases the number of visits to the family doctor. The Digital Dermatologist is an initiative by Herm Martens. It focuses on communication between doctors and patients. Technology makes it easier to transfer knowledge, allowing meetings to take place digitally. Why waste time travelling to and from appointments if you can use digital channels? PEX Life and the Digital Dermatologist have joined forces. Together we’re developing a diagnostic tree and knowledge base for dermatology. Digitaledermatoloog.nl was created for everyone with a skin problem or questions regarding their skin. Whether it’s pimples, rashes or general questions, we’ll give you a clear answer. PEX Life is developing the online diagnostic tree. This enables users to get direct advice and provides the doctor with a detailed intake. Consequently the treatment is more efficient for both doctors and patients. 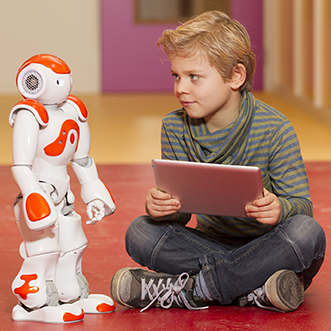 Social Robotics is an exciting field in healthcare. Robots have long been used in the traditional industrial sector and today they are increasingly becoming part of the service industry. This means that interaction with humans is becoming more important. The question isn’t whether humans and robots will interact, but rather to what extent. What do we tolerate and what is normal? PEX Life is experimenting with this. 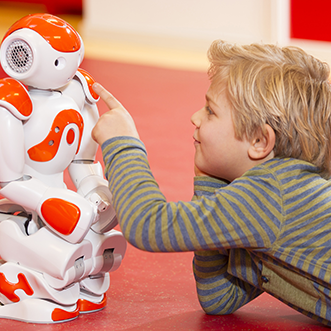 With our NAO robots we’re discovering to what extent DigitalCX can facilitate the interaction between humans and robots. And when this is done in a natural and intuitive way, the possibilities are limitless. Good information saves lives. That’s why we’re dedicated to creating a source that is accessible for everyone and where everybody can ask questions: the digital health clinic. It’s easy to use and affordable, allowing many people to benefit from it. Where others focus on medication and vaccinations, we focus on education. That’s how we make an impact on women’s health in Ghana. The project with Text to Change (TTC) utilises SMS & internet connected phones and tablets which have a high and growing number of users. The virtual health coach collects information in an interactive way. This gives the system a clear profile of the individual, allowing it to provide personal and contextual information. With simple tools, we shorten the distance between doctor and patient. Doctors can monitor patients and contact them when they need to. Coach proactively ensures people stay fit and in good health. Directs users to the closest clinic with the shortest waiting time. A digital clinic is incredibly affordable, especially compared to a physical clinic – you save millions. Get in touch to learn more about this project. Leave your email and we’ll be in touch soon. No strings attached.